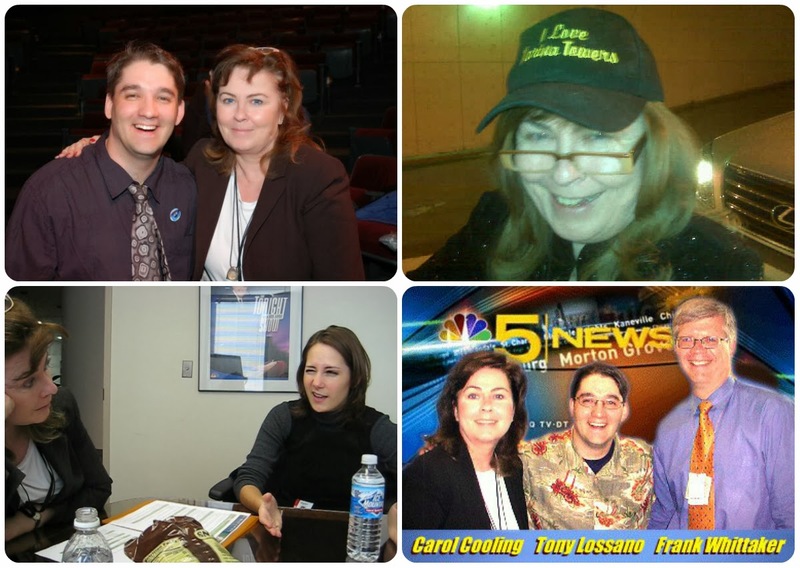 Back in 2003, I started working at NBC in Chicago, and it all started because of one amazing and wonderful person, Carol Cooling-Kopp. On October 30, 2013, Carol passed away. Carol & my old partner Mariana talking business, Carol with me & Frank after I signed a contract with NBC. I first really got to know Carol Cooling, back when my show was covering events that involved NBC. She was my contact person and was always great to work with. We would often talk off camera during my shoots, and one particular time, she told me how several people who were scheduled to work, didn't show up. It was NBC’s first Health & Fitness Expo in many years. I told her that I was done with the shoot, if she just wanted me to help out, I could. My wife at the time agreed to join in too. Carol was like we didn't have to, but we saw the bind she was in, and we really appreciated all that she ever did for us, so we insisted. She was thrilled, and had us work the kiddie section. For years, I have worked for Carol, and the pay was never the reason. It was because I loved working with Carol. 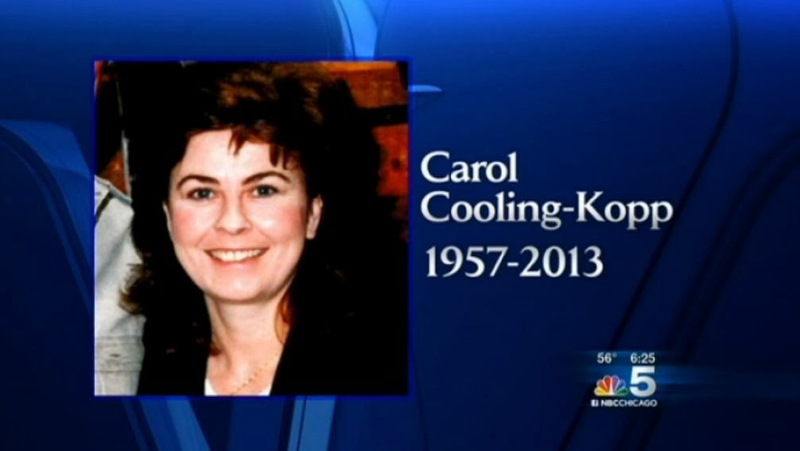 She was the mother of NBC Chicago, in the sense, that she took care of everything. Words are not enough, but you must know; when you watch the faces on your screen at NBC, Carol has always had such a dynamic affect on everyone she worked with. She will always be in my thoughts, because she is one of the few people who I really admired and tremendously loved knowing. I will miss her greatly! "She thought of every detail but mostly she thought of everyone. She can never be replaced." 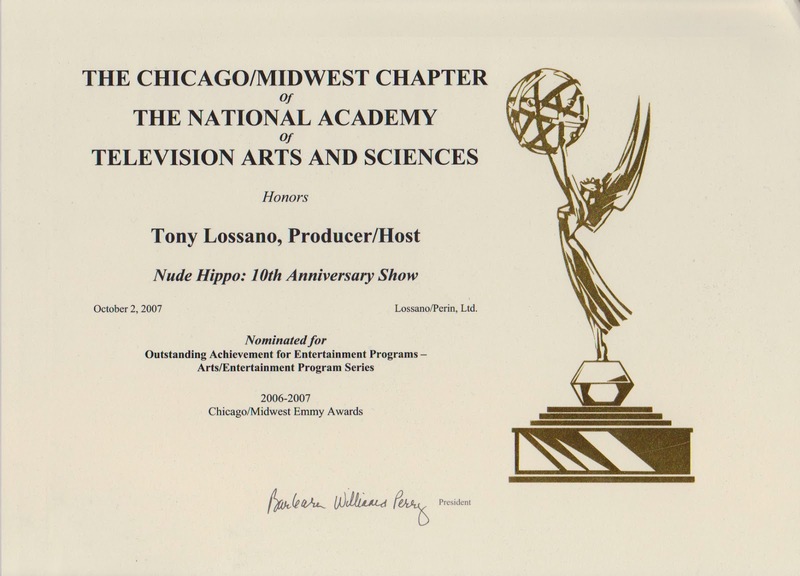 Today is Carol's wake, and tonight is The Chicago/Midwest Chapter: National Academy of Television Arts and Sciences The Chicago/Midwest Emmy Awards Presentation...or as I call them, the local Emmy's! Back when my old TV show got it's first Emmy nomination, Carol acquired and gave me the card that they read my name from for the nomination announcements. 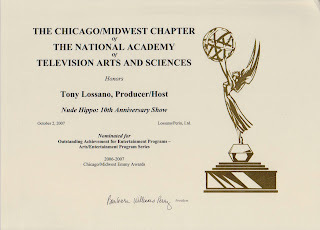 Then she gave me two tickets to attend the Emmy ceremony. She made it such a big deal, because it was our first time for this occasion and she was sincerely proud of our accomplishments. She sat right next to us at the presentation and we had such a fun time. She always treated my like I was her BFF, but I suspected that she did that to everyone. That was just how Carol was. We didn't win an Emmy that year, but her sincere love and support for us, well, that had a much greater impact on me than any award could. I was once backstage at a JDRC charity concert with Chicago (the band), and the then general manager/president, Larry Wert arrived, but he realized that he left his tickets in the car. Without any hesitation, Carol pulled out an envelope with two more tickets for him...I think that she anticipated this was going to happen. She was always foreseeing problems and having a solution, before they even occurred. She was so awe inspiring to me. The first time we covered a NBC event, you can clearly see Carol standing behind Larry Wert, while Danny Bonaduce takes off his clothes for the camera. Carol Cooling highlighted in yellow, behind Larry Wert. It is very cool to be able to see Carol again, smiling away, in this segment. "Then you’d have no problem picking up Dalet too with some training. I want to look into that. What hours are you working and what hours are you available weekdays in general? " As I quoted earlier, it really reflected on how "She thought of every detail but mostly she thought of everyone." This is how Carol was. It was such a great pleasure to know her, and to work with her. This also resonated to the people who she worked along side with, making them better people as well. This helped make the NBC family. I know that I owe Carol everything, with bringing me into the NBC family. Other work places in the world could benefit if there were more Carol Coolings out there, not one less. My thoughts goes out to her family, including her husband, Chip Kopp or as I use to refer to him when I was with Carol as, Mr. Heating, (a lame joke, making them "Heating & Cooling"). For all that she did for NBC, she did get at least one special thing from spending most of her career there. 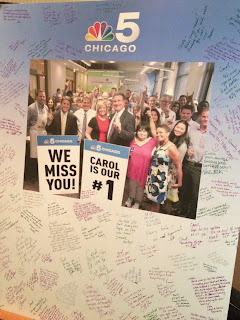 Carol met Chip, and continued to work together, at NBC 5 Chicago. 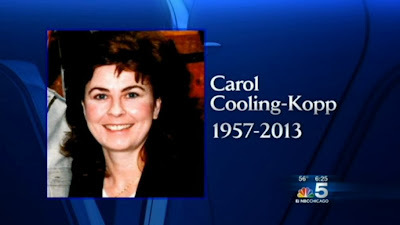 She has been called the "heart & soul" of NBC, and the "Mayor of NBC," but I have always said about this aunt of 12 nieces and nephews, that she was the "Mom of NBC," and I am going to miss her. 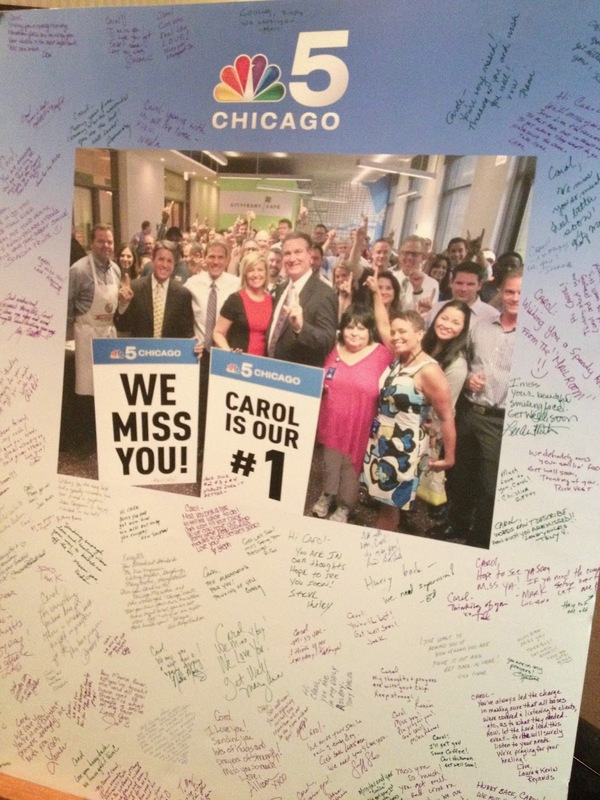 NBC Chicago's tribute to Carol.